in 2004 the farmers experience with cryptosporidial scours was challenging. There were no treatment options other than with electrolytes and these required extended periods of patient nursing. The experience reported by farmers was one of frustration and despair for everyone with an outbreak of scours. There was a major increase in work, costs, and increased time to weaning, apart from the risk of mortality, as well as the stress to the calf rearers. The goal in the development of Kryptade was to use the freshly published data from Spanish researchers on the activity of beta-cyclodextrin, by putting it into an established electrolyte (though which “one” would become an important question?). In the original tests, the farmers were ‘blinded’ as to which product they were using on each calf. Two products, with alternative calves requiring electrolytes were separated into two groups each receiving one of the two products. They were to record which formulation ran out first. These were the slow responders. And compare it with the other formulation, the fast responders. The product working best would have a greater residual volume, with less product required for recovery; the less effective would be consumed more quickly, and run out first. These first tests carried out late in 2004, showed that the high performing electrolyte with added beta-cyclodextrin gave a benefit of over 35% in reduced electrolyte use to recovery. Later these improvements also reported finding that these calves appeared brighter earlier being more alert and seeking food/milk again more quickly. Formal field trials were set up for 2005. All our trials were carried out in the real world on a commercial operation with an Animal Welfare Ethics Committee oversight, managed on a daily basis by Dr Richard Tiddy. A field trial places enormous demands on the trial protocol to remove bias if the results are to achieve meaningful outcomes. In these double blinded trials, the manager of the trial, Dr Richard Tiddy as well as the calf rearer (Linda) were both unaware as to which product was being used. Though the performance of the exxperimental Kryptade trial product was so striking the calf rearer could soon tell which was the more active electrolyte. In all instances with each trial there was the same reduction in the amount of electrolytes to recovery – a really exciting and important finding. One of these trials is reported separately. Some of the additional features built into the electrolyte formulation included a seaweed extract and the amino-acid arginine. 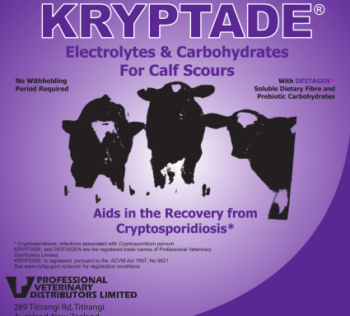 Kryptade and Exagen have been specifically developed in New Zealand for New Zealand farmers. They are an extension of original published Spanish research in the early 2000s. 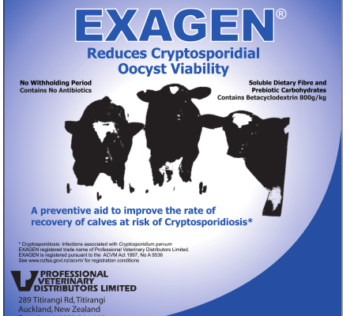 The references include the activity of beta-cyclodextrin and alpha-cyclodextrin against Cryptosporidium parvum in trials with mice, calves and lambs. Safety: Dose rates and frequency of dosing is described in the original research by Castro-Hermida and colleagues. The dosage format of a liquid suspension was used in this research. 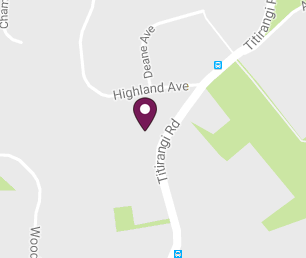 In New Zealand the development and safety trials with the trial formulations, no deaths were reported separate from the secondary bacterial infections associated with cryptosporidiosis (unpublished data). Nor have there been reports of safety issue from the field of the use of either Kryptade or Exagen. In my opinion only liquid forms of these products should be used, and they should only be used as directed on the labels. 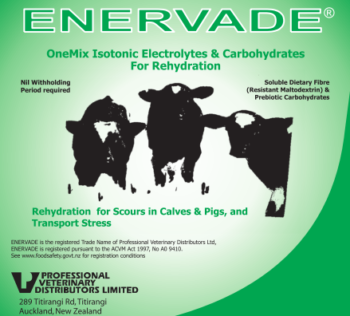 Enervade has been developed and used as an isotonic electrolyte solution for over 25 years, and in 2004 had prebiotic carbohydrates (resistant maltodextrin) added. At this time resistant maltodextrin was being reported to have an additional benefit in human infants with diarrhoea, by improving fluid resorption from the colon by up to 20% in secretory diarrhoeas (cholera). Specifically there are two forms of resistant maltodextrin in Enervade. These are also classed as soluble fibre, and dietary fibre, as well as being prebiotic carbohydrates. Kryptade’s beta-cyclodextrin is also classified as a prebiotic carbohydrate having specific health benefits.